from Sep 5 – 9th at Maison Objet in Paris . 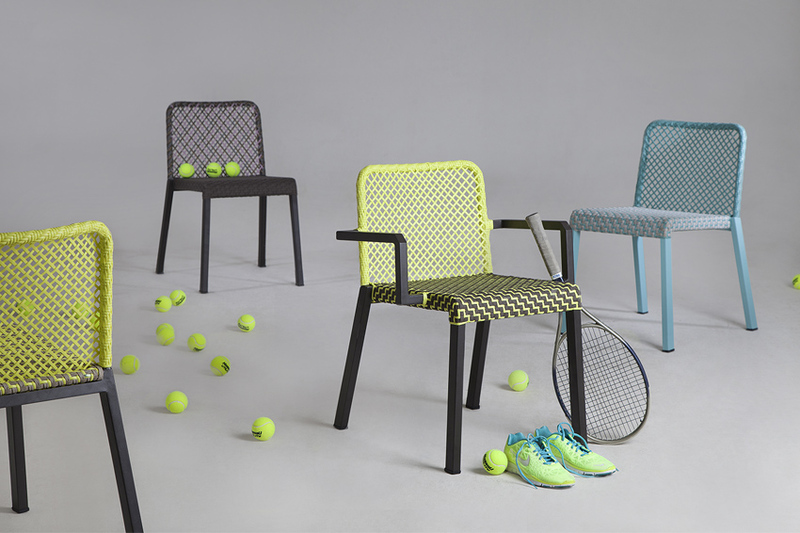 The 4L Tennis series is a more refined outdoor chair with a fresh and sporty design. A new frame was developed for both the side chair and stacking armchair which allowed a continues profile of the back side of the chair to be exposed along the edge. 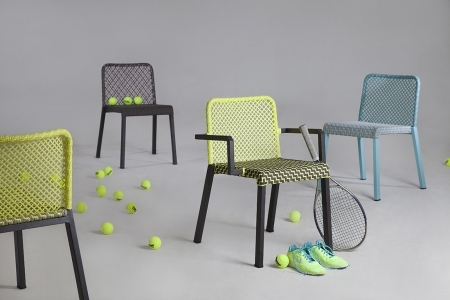 The result was a design that makes the chair look lighter and provides a more firmer stance in its appearance. 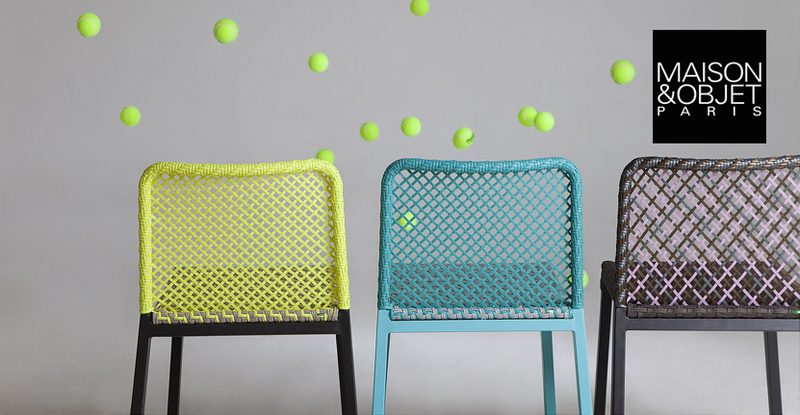 The inspired tennis court net weaving design is available in a combination of our soft touch fabric fibers combined with our vibrant fluorescent fibers. We also added two new frames colors as shows here Citron 05 and Aquamarine to compliment this new collection. Innovations for outdoor living. Superior craftsmanship with performance vibrant materials and colors. We offer custom tailored design solutions for the outdoors. The Forever Summer Collection is a contemporary outdoor line created with the collaborations of renowned international designers. The Lebello Collection offers unique and bespoken design solutions for the contract market and individual luxury residences around the world.